It was the first general election to include on a single day all eligible voters of the United Kingdom, although the vote count was delayed until 28 December so that the ballots cast by soldiers serving overseas could be included in the tallies. It resulted in a landslide victory for the coalition government of David Lloyd George, who had replaced H. H. Asquith as Prime Minister in December 1916. They were both Liberals and continued to battle for control of the party, which was fast losing popular support and never regained power. It was the first general election to be held after enactment of the Representation of the People Act 1918. It was thus the first election in which women over the age of 30, and all men over the age of 21, could vote. Previously, all women and many poor men had been excluded from voting. Women showed enormous patriotism, and generally supported the coalition candidates. The election was also noted for the dramatic result in Ireland, which showed clear disapproval of government policy. The Irish Parliamentary Party were almost completely wiped out by the Irish republican party Sinn Féin, who vowed in their manifesto to establish an independent Irish Republic. They refused to take their seats in Westminster, instead forming a breakaway government and declaring Irish independence. The Irish War of Independence began soon after the election. Lloyd George's coalition government was supported by the majority of the Liberals and Bonar Law's Conservatives. However, the election saw a split in the Liberal Party between those who were aligned with Lloyd George and the government and those who were aligned with Asquith, the party's official leader. On 14 November it was announced that Parliament, which had been sitting since 1910 and had been extended by emergency wartime action, would dissolve on 25 November, with elections on 14 December. Following confidential negotiations over the summer of 1918, it was agreed that certain candidates were to be offered the support of the Prime Minister and the leader of the Conservative Party at the next general election. To these candidates a letter, known as the Coalition Coupon, was sent, indicating the government's endorsement of their candidacy. 159 Liberal, 364 Conservative, 20 National Democratic and Labour, and 2 Coalition Labour candidates received the coupon. For this reason the election is often called the Coupon Election. 80 Conservative candidates stood without a coupon. Of these, 35 candidates were Irish Unionists. Of the other non-couponed Conservative candidates, only 23 stood against a Coalition candidate; the remaining 22 candidates stood in areas where there were no coupons, or refused the offer of a coupon. The Labour Party, led by William Adamson, fought the election independently, as did those Liberals who did not receive a coupon. The election was not chiefly fought over what peace to make with Germany, although those issues played a role. More important was the voters' evaluation of Lloyd George in terms of what he had accomplished so far and what he promised for the future. His supporters emphasised that he had won the Great War. Against his strong record in social legislation, he called for making "a country fit for heroes to live in". This election was known as a khaki election, due to the immediate postwar setting and the role of the demobilised soldiers. The coalition won the election easily, with the Conservatives the big winners. They were the largest party in the governing majority. Lloyd George remained Prime Minister, despite the Conservatives outnumbering his pro-coalition Liberals. The Conservatives welcomed his leadership on foreign policy as the Paris Peace talks began a few weeks after the election. An additional 47 Conservatives, 23 of whom were Irish Unionists, won without the coupon but did not act as a separate block or oppose the government except on the issue of Irish independence. While most of the pro-coalition Liberals were re-elected, Asquith's faction was reduced to just 36 seats and lost all their leaders from parliament; Asquith himself lost his own seat. Nine of these MPs subsequently joined the Coalition Liberal group. The remainder became bitter enemies of Lloyd George. The Labour Party greatly increased its vote share and surpassed the total votes of either Liberal party. 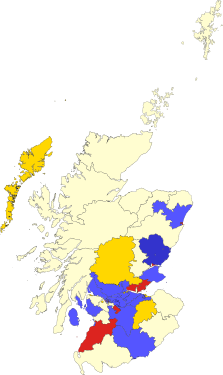 Labour became the Official Opposition for the first time, but they lacked an official leader and so the Leader of the Opposition for the next fourteen months was the stand-in Liberal leader Donald Maclean (Asquith, having lost his seat at this election, was not returned until a by-election in February 1920). Labour could only slightly increase their number of seats, however, from 42 to 57 and some of their earlier leaders including Ramsay MacDonald and Arthur Henderson lost their seats. Labour won the most seats in Wales (which had previously been dominated by the Liberals) for the first time, a feat it has continued to the present day. The Conservative MPs included record numbers of corporate directors, bankers and businessmen, while Labour MPs were mostly from the working class. Bonar Law himself symbolised the change in the type of a Conservative MP as Bonar Law was a Presbyterian Canadian-born Scottish businessman who became in the words of his biographer, Robert Blake, the leader of "the Party of Old England, the Party of the Anglican Church and the country squire, the party of broad acres and hereditary titles". Bonar Law's ascent as leader of the Conservatives marked a shift in Conservative leaders from the aristocrats who generally led the party in the 19th century to a more middle class leadership who usually led the party in the 20th century. Many young veterans reacted against the harsh tone of the campaign and became disillusioned with politics. 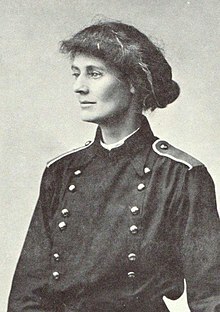 Constance Markievicz was the first woman elected to the House of Commons, but as an Irish nationalist she did not take her seat at Westminster. 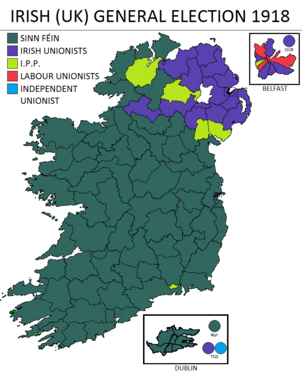 In Ireland, the Irish Parliamentary Party, which favoured Home Rule within the United Kingdom, lost almost all their seats, most of which were won by Sinn Féin under Éamon de Valera, which called for independence. The executions of many of the leaders of the Easter uprising of 1916, the force-feeding of those imprisoned in connection with the uprising who had gone on a hunger strike in 1917, and the Conscription Crisis of 1918 all served to alienate Irish Catholic opinion from the United Kingdom. The Sinn Féin candidates had promised on the campaign trail to win an Irish republic "by any means necessary", which was a code-word for violence, though it is not entirely clear if all Irish voters understood what the phrase meant. The 73 Sinn Féin elected members declined to take their seats in the British House of Commons, sitting instead in the Irish revolutionary assembly, the Dáil Éireann. On 17 May 1918 almost the entire leadership of Sinn Féin, including de Valera and Arthur Griffith, had been arrested. In total 47 of the Sinn Féin MPs were elected from jail. The Dáil first convened on 21 January 1919, which marks the beginning of the Irish War of Independence. In the six Ulster counties that became Northern Ireland, Unionists consolidated their position by winning 23 out of the 30 seats. Cardinal Logue brokered a pact in eight seats (one, East Donegal, not in the six counties), after nominations closed, where Catholic voters were instructed to vote for one particular nationalist party. Split evenly, the Irish Parliamentary Party won three of those seats and Sinn Féin three. (The pact failed in East Down). Joe Devlin, memorably, also won Belfast (Falls) for the Irish Parliamentary Party in a straight fight with Éamon de Valera of Sinn Féin. Constance Markievicz became the first woman elected to Parliament. She was a Sinn Féin member elected for Dublin St Patrick's, and like the other Sinn Féin MPs, did not take her seat. Results in Ireland. The Sinn Féin MPs did not take their seats in the House of Commons, and instead formed the Dáil Éireann (English: Assembly of Ireland). All comparisons are with the December 1910 election. In other circumstances the change is due to the seat having been won by the gaining party in a by-election in the intervening years, and then retained in 1918. Such circumstances are marked with a †. ^ The Sinn Féin MPs did not take their seats in the House of Commons, and instead formed the Dáil Éireann. ^ The Conservative total includes 47 Conservative candidates elected without the Coalition Coupon, of whom 23 were Irish Unionists. ^ J. M. McEwen, "The coupon election of 1918 and Unionist Members of Parliament." Journal of Modern History 34.3 (1962): 294-306. ^ Stuart R. Ball, "Asquith's Decline and the General Election of 1918." Scottish Historical Review 61.171 (1982): 44-61. ^ Barry McGill, "Lloyd George's Timing of the 1918 Election." Journal of British Studies 14.1 (1974): 109-124. ^ Paul Adelman, The decline of the Liberal Party 1910-1931 (2014). ^ Mary Hilson, "Women voters and the rhetoric of patriotism in the British general election of 1918" Women's History Review 10.2 (2001): 325-347. ^ Trevor Wilson, "The Coupon and the British General Election of 1918." Journal of Modern History 36.1 (1964): 28-42. ^ Taylor 1976, pp. 127–128. ^ Inbal Rose, Conservatism and foreign policy during the Lloyd George coalition 1918-1922 (2014). ^ Edward David, "The Liberal Party Divided 1916–1918." Historical Journal 13.3 (1970): 509-532. ^ Chris Wrigley, Lloyd George and the challenge of Labour: The post-war coalition, 1918-1922 (Harvester Wheatsheaf, 1990). ^ Blake, Robert The Unknown Prime Minister: The Life and Times of Andrew Bonar Law, 1858-1923, London: Faber and Faber, 2011 p.86. ^ Cottrell, Peter The Anglo-Irish War: The Troubles of 1913–1922, London: Osprey, 2006 page 39. ^ Cottrell, Peter The Anglo-Irish War: The Troubles of 1913–1922, London: Osprey, 2006 page 29. Adelman, Paul. The decline of the Liberal Party 1910-1931 (2014). Hilson, Mary. "Women voters and the rhetoric of patriotism in the British general election of 1918" Women's History Review 10.2 (2001): 325-347. McGill, Barry. "Lloyd George's Timing of the 1918 Election." Journal of British Studies 14.1 (1974): 109-124. Wikimedia Commons has media related to 1918 UK General Election.